The Department of Telecom in a decision has planned to form an alliance between the BSNL, MTNL, C-DoT (which deals with research), India Telephone Industries (ITI) and Telecommunication Consultants of India Ltd (TCIL) to help the better functioning of all these Public Sector Units (PSU) which are making losses since years. According to the plan these companies will share their telecom assets and buy products and services at optimise use of resources and withstand competition from private sector rivals. 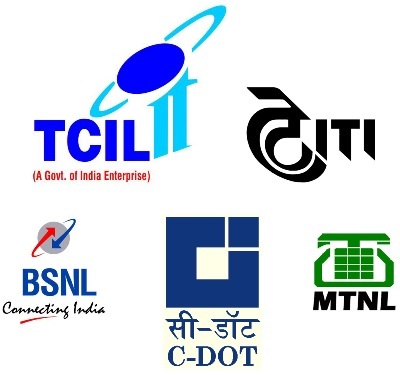 The Board for Reconstruction of Public Sector Enterprises (BRPSE) had suggested that the merging three loss-making state-run entities – ITI, MTNL and BSNL. According to a senior department official, the aim is to create a seamless value where C-Dot will handle product development; ITI will look into equipment production, which in the end will be bought by BSNL and MTNL. In a bid to upgrade ITI’s production facilities, the telecom department has sought 378 crore. TCIL is said to be promoting and executing offshore telecom projects while BSNL and MTNL are expected to work closely with TCIL. A few officials feel that this alliance is not likely to work until all the respective boards of the PSUs are given adequate autonomy. BK Syngal, ex-CMD of VSNL (now Tata Communications), says that the entire concept is flawed since there are no real synergies between the proposed alliance partners.